Mr. Chancellor, Chantal Hébert is one of this country’s most influential writers and commentators, and a highly revered source of balanced and factual opinions on constitutional and political affairs in Canada. She is a national affairs writer and political columnist for the Toronto Star, and a regular guest columnist for Le Devoir and L’Actualité. She is perhaps best-known across Canada for her weekly appearances as a member of the At Issue political panel on CBC Television’s The National, and as a regular participant in various other French and English language television and radio current affairs programs. She has also written two books: French Kiss: Stephen Harper’s Blind Date with Quebec, shortlisted for the 2008 Edna Staebler Award for Creative Non-fiction, and The Morning After: The 1995 Quebec Referendum and the Day that Almost Was, shortlisted for the 2015 Shaughnessy Cohen Prize for Political Writing. In 2005, Ms. Hébert received the Public Service Citation of the Association of Professional Executives of the Public Service of Canada. In 2006, the Public Policy Forum presented her with the Hyman Solomon Award for Excellence in Public Policy Journalism. 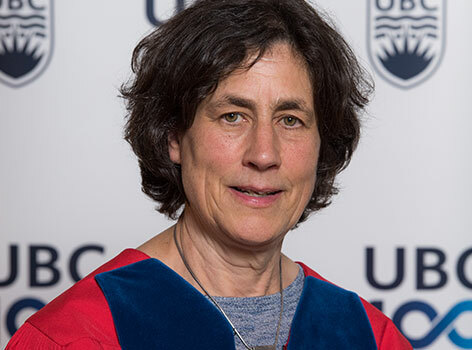 She was named an Officer of the Order of Canada in 2012, has received Honorary Degrees from five Canadian universities, and is currently a Senior Fellow of Massey College at the University of Toronto. At ease in both French and English Canadian cultures, Ms. Hébert is a fearless political journalist and pundit who is passionate about Canadian politics, yet never fails to retain the objective and dispassionate stance of her profession. Politicians at all levels, and of all political persuasions, fear yet nevertheless seek out her insightful and incisive comments. Canadians everywhere rely on her for clear and objective perspectives on our diverse political realities. Mr. Chancellor, in recognition of her contributions to informed and thoughtful discourse on political and constitutional affairs across this country, I ask you to confer the degree Doctor of Laws, honoris causa, upon Chantal St-Cyr Hébert.